Hello! We have some CRAZY cute cards on the blog today! Check out this first card by Elena. Who knew that our Geek Love and Simply Said Crazy sets would look so good together?! I just love the way she combined these stamp and die sets to get even more use out of them! 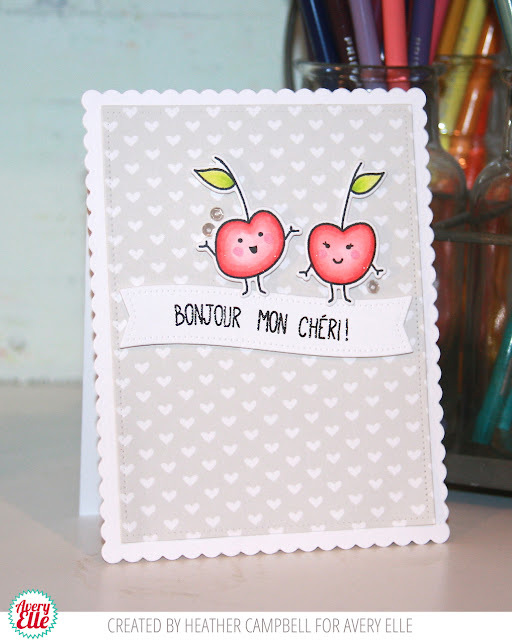 Heather's cherries are simple yet adorable. I love how they look standing on that banner! That heart patterned paper is the perfect backdrop! What adorably sweet cards! Great job ladies! Vikings and Bears, Oh My! !